Shotts Launch Night - 23rd October! Join us at Shotts Leisure Centre on Monday 23rd October between 4pm - 8pm for some exclusive offers on our £21.99 Gym, Swim and Class membership at Shotts. 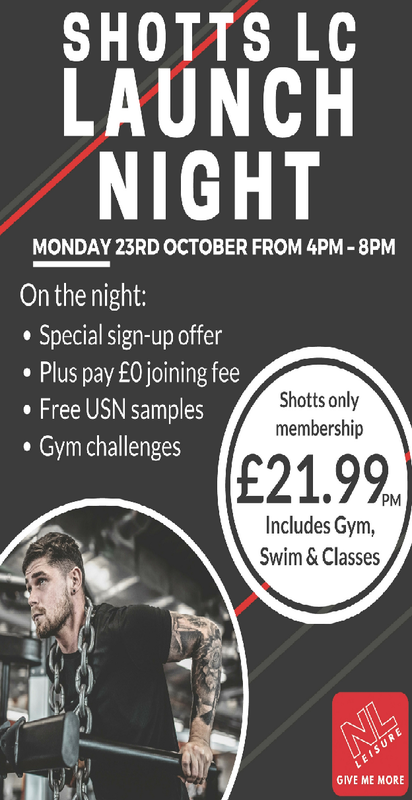 As well as a special membership offer on the night, we'll also be giving out FREE USN samples and have some exciting gym challenges taking place. Shotts Leisure Centre, Benhar Road, Shotts, ML7 5EP.